Donald J. Macer, 90, of Monessen passed away peacefully on Friday, September 8, 2017 in the Monongahela Valley Hospital. Born March 23, 1927, in Monessen, he was the son of the late Elsie and Benjamin Macer. Donald was a 1942 graduate of Monessen High School and he attended Duquesne University, School of Pharmacology, prior to being drafted into the U. S. Army during the Korean War. After receiving an honorable discharge from the military, he moved to Baltimore, MD and began employment with the Social Security Administration as a Claims Authorizer. He retired from SSA after 28 years and relocated to Monessen. 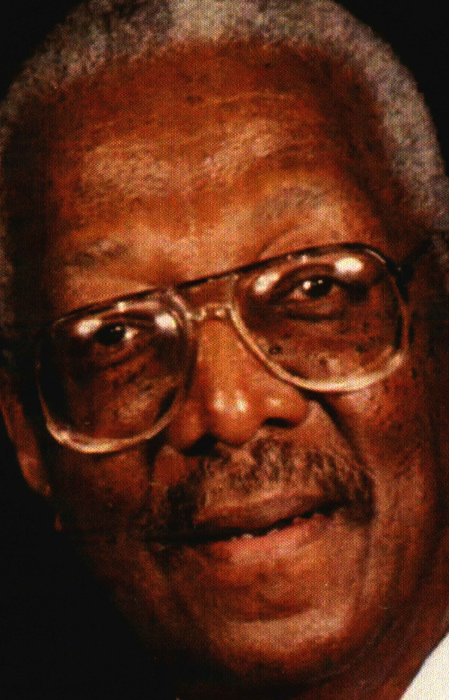 He was the oldest member and Trustee Emeritus of Wayman A. M. E Church, Monessen and served as Past Master of the F&AM Masonic Lodge #79. Donald is survived by two nieces, Cheryl Atwater of Pittsburgh, PA and Robin Haywood of Baltimore, MD; his nephew, Kevin (Julie) Askins of Harrisburg, PA and a loving companion, Hortense “Teenie” Maddox of Monessen, Pa with whom he resided; three brothers-in-laws, Scipio White of Monessen, PA, William “Wren” White of Virginia Beach, VA, and Theodore (Chick) of Donora, PA and a host of great nieces, nephews, family and friends. He was preceded in death by his wife, Anna Ruth, of forty-nine years; two sisters, Bernadine Turner of Monessen, PA and Alicia Askins of Baltimore, MD; one niece, Rhonda Askins and one nephew, Kermit Askins of Baltimore, MD. Friends will be received at the New Vision Christian Life Tabernacle, 201 Thompson Avenue, Donora PA 15033 from 2 p.m. to 4 p.m. and 6 p.m. to 8 p.m. on Tuesday, September 12, 2017 with Masonic services at 7 pm. Funeral services will be held at 11 a.m. on Wednesday, September 13, 2017 at New Vision Christian Tabernacle with the Reverend Rhonda K. Higgins officiating. Interment will take place at Belle Vernon Cemetery, Belle Vernon, PA 15012.